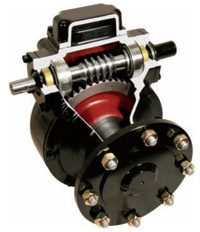 ZIMMATIC & UMC CENTER PIVOT GEARBOXES ON SALE NOW! CLICK FOR SPECIAL QUANTITY PRICING! We ship our gear boxes anywhere in the continental United States. Delivered direct to your farm. Valley Implement is your headquarters for farm irrigation systems, parts and service! 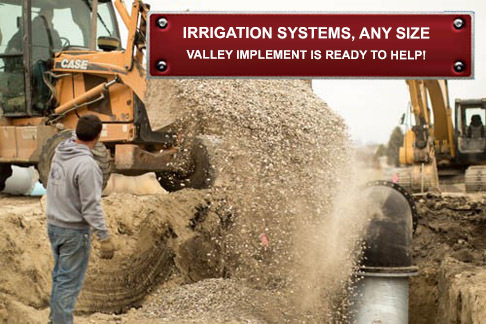 Valley Implement & Irrigation is committed to helping you with your water delivery projects. We specialize in Zimmatic Irrigation center pivots. We also stock a complete line of plastic pipe, Wheel lines, and Hand lines for the most efficient water delivery options possible. See what the Valley Implement experts can do for you. Let Valley Implement install your new irrigation system! RUN YOUR PIVOTS FROM YOUR PHONE! FieldNET Mobile features an easy-to-use interface allowing users to monitor and control irrigation equipment from virtually anywhere. This sprinkler tool is designed to easily remove sprinklers from levelers on wheel line irrigation systems. The wrench completely surrounds the brass Hex nut and exerts equal pressure to firmly lock in the brass nut.